LONG BEACH — The 81st annual Long Beach Sea Festival — a summer series of waterfront events that attract boaters and beach-goers from throughout the region — is now under way. This year’s Sea Festival is part of Long Beach’s 100 Days of Summer event promotion. * North Kalama Outrigger Classic Hawaiian outrigger canoe racing starts at 6 a.m. July 14 off Belmont Veterans Memorial Pier. * 25th annual Jessica Uniack Memorial Beach to Bay Race, a junior sailing event co-hosted by Long Beach Yacht Club and Alamitos Bay Yacht Club, starts at 10 a.m. July 26. * Long Beach Crawfish Festival, the largest crawfish festival outside Louisiana, with Cajun food and Louisiana music, is set for noon-11 p.m. July 28 and noon-10 p.m. July 29 at Rainbow Lagoon. 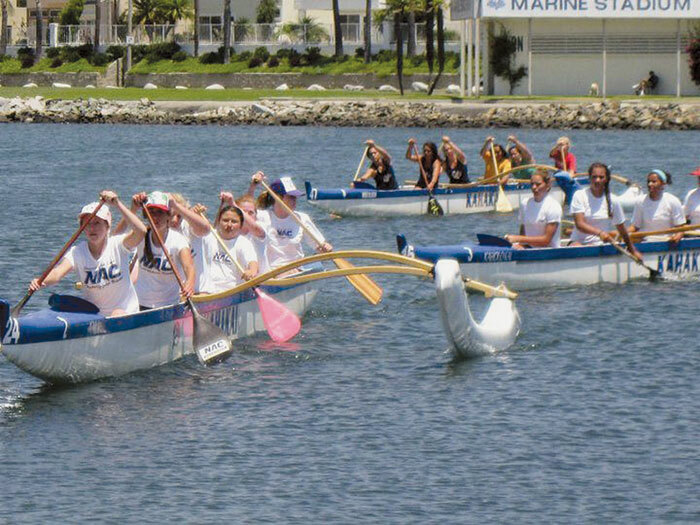 * Long Beach Dragon Boat Festival, featuring decorated Asian boat races, is scheduled from 9 a.m.-6 p.m. July 28-29 at Marine Stadium. * Kids’ Fishing Rodeo, for children 16 and younger, starts at 8 a.m. Aug. 3 off Belmont Veterans Memorial Pier. * Lucas Oil Long Beach Sprint Nationals, with top Sprint Boat Racers from across the country competing, starts at 9 a.m. Aug. 4-5 at Marine Stadium. * Taste of the Coast, a clambake with music, beverages and seafood of all types, is set for 11 a.m.-6 p.m. Aug. 18-19 on Belmont Veterans Memorial Pier. * Tiki Beach Festival, showcasing island musicians and dancers, along with tiki carvers and island food, is set for 10 a.m.-6 p.m. Aug. 18-19. Many more events are scheduled, and full details are available at longbeachseafestival.com.